Cheika: Made pre-match grunt sculpture in AB toilet. NEWSDESK: Eye gouging, refereeing criticism and boot throwing – you can now add a surreptitious pre-match steamer to the list. 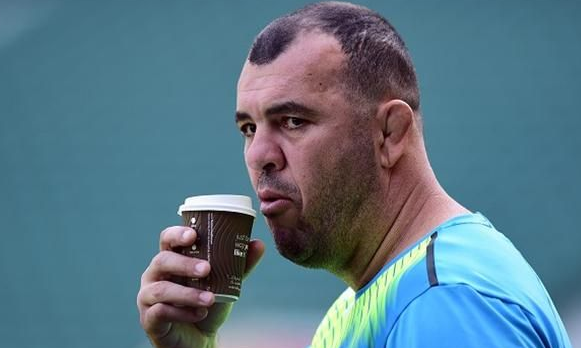 Under-fire Wallabies coach Michael Cheika has been accused of defecating and creating an offensive odour in the All Black dressing room before his team’s 29-9 defeat at Westpac Stadium on Saturday night. Closed circuit TV confirms the Wallabies coach entered the opposition shed carrying that morning’s Dominion Post sport section under one arm, shortly before the cave painting was discovered. Head coach Steve Hansen is playing the incident down. “The smell was worse than a dead possum in the boot, but we train for this kind of thing. The boys stuck to their processes and still got the result. The IRB issued a statement expressing its disappointment in the inter-changing room floater, and reminded member countries to obey the usual home and away ablution protocols. The incident was being referred to the newly formed Bodily Function Sub-Committee, whose report is due mid-2019. The incident is the first trans-Tasman turd since Michael Brial shat in Frank Bunce’s shoe at a 1996 Bledisloe post-match function.